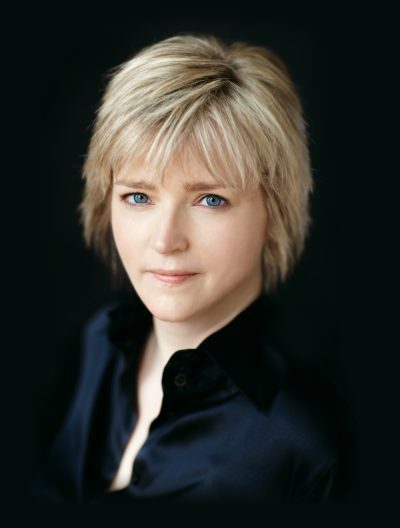 A couple years ago, author Karin Slaughter anticipated the publication of her standalone novel Pretty Girls, with a novella called Blonde Hair, Blue Eyes. While the novella wasn't paramount in comprehending the plot of the novel, it did serve as a great teaser for the world that Slaughter portrayed in her book. 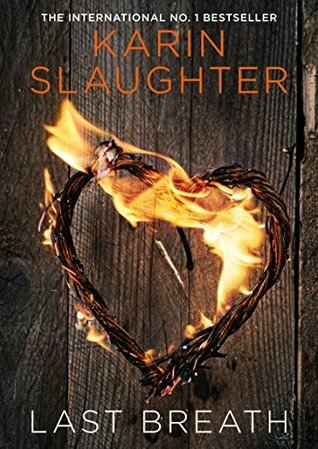 With the impending publication of her latest standalone The Good Daughter, Slaughter has released another novella to introduce this new story. Last Breath introduces readers to Charlie Quinn. She's a young lawyer who is still finding her way around the criminal justice system. Charlie is settling into the role as a defender for the defenseless. She aims to help those who otherwise wouldn't have proper representation, even if that means she won't get paid. Student loans are not nearly as important as justice! Her latest charge comes in the form of fifteen-year-old Flora, an orphaned girl seeking emancipation from her guardians. At the time of her mother's death, a trust-fund was set up to ensure Flora would have a bright future of comfort and higher education. But Flora claims her guardians are depleting those funds for their own personal gains. Flora doesn't admit to it, but Charlie also believes someone is abusing her. As Charlie begins investigating into Flora's unfortunate situation, echoes of her own tragic past come ringing back. How can she help the girl? More so, what isn't Flora telling her? The answer may just be worse than anything she could ever have imagined. At a brisk 197 pages, Last Breath provides a surprising amount of character development and suspense. Slaughter expertly paces the revelations of Charlie's investigation with a persistent since of urgency. At the same time, both Charlie and Flora are fully formed characters who I instantly connected with. More than Blonde Hair, Blue Eyes, this novella feels like its own complete story. There is a definitive narrative arc that reaches a satisfying conclusion. Completing this story has only increased my anticipation for The Good Daughter. Read this review on Amazon and Goodreads. "Because a minority is only thought of as a minority when it constitutes some kind of threat to the majority, real or imaginary." George is an outsider in just about every way possible. He is an English transplant living in California during the early 1960's. He is a 50 something-year-old intellectual surrounded by the youthful students of the college he teaches at. Perhaps most egregious, George is gay. His otherness used to not bother him much, especially because his partner Jim loved him unconditionally for who he was. But then Jim was killed in an accident. Now, there are two sides to George. One side is the outer George, the one who dresses impeccably each day, teaches his students, and makes polite small talk with the neighbors. The other is the internal George, the one who longs for an escape from the monotony of day to day life and contemplates the loaded pistol that's never too far from reach. It is this internal/external dichotomy that fuels the pages of Isherwood's novel. A Single Man is a tremendous novel. It is the kind of work that should be required reading, but it usually gets passed over for more standard works. 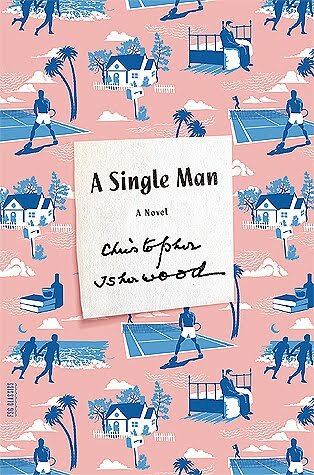 Within less than 200 pages, Isherwood writes about love, loss, acceptance, and grief in a way that is as profound as it is engrossing. In George, Isherwood captures the essence of any person labeled 'other' from the crowd, and creates a timeless message of accepting the uniqueness of each individual and living each day as if it is your last. I was completely blown away by this novel. "If you want to see what this nation is all about, I always say, you have to ride the rails. Look outside as you speed through, and you'll find the true face of America." Colson Whitehead's The Underground Railroad has taken the publishing world by storm. 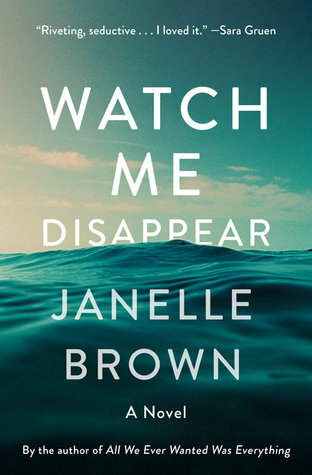 It began as a surprise selection for Oprah's book club nearly one month before it was slated to be published. In a logistical feat, the novel was on the shelves shortly thereafter and began its reign as a commercial and critical juggernaut. The book was voted in as a historical themed selection for The Next Best Book Club's monthly discussion on Goodreads, a discussion that I'm leading all month long. This provided me the perfect excuse to dive into Whitehead's novel and see what all the hype is about. The novel opens in the Antebellum South on the Randall Plantation, a farm known more for its appalling treatment of its slaves than the harvest they produce. Cora is no stranger to those horrors. She's grown up as one of the Randall's servants and seen how the mistreatment of her peers gives the Randall brothers a sick pleasure. This goes beyond simple punishment. It is not uncommon for slaves to be summoned for a beating as a form of entertainment for the brothers and their guests. Whitehead writes of this sadistic torture with detailed descriptions that make no attempts to shield readers from the unabashed vulgarity of this history. Miraculously, Cora clings to the hope that one day she will escape the bonds of the Randall Plantation. It seems like an impossible dream, especially when she's seen the brutal executions of those who tried to escape in the past, but Cora has a secret weapon. Years ago, Cora's mother escaped the plantation and was never heard from again. Even the famed slave catcher Ridgeway was unable to find her. Cora is bitter that her mother left her to fend for herself, but she clings to the thought that if her mom could escape, she can too. Cora's dreams come to fruition when another slave, Caesar, tells her of his plan to leave. He has made contact with a man who can grant the pair access to the infamous underground railroad. 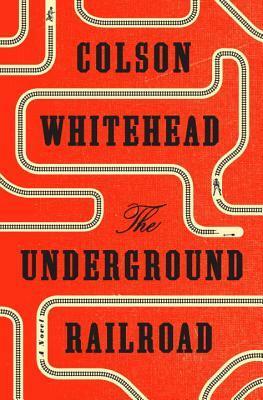 In Whitehead's world, this is not merely a network of brave abolitionists, but an actual railroad built in tunnels across the US. Leaving the plantation marks the beginning of a journey that is even more perilous than the unenviable life of servitude. With each stop on the railroad, Cora faces new obstacles that cause her to question the price of her own freedom. On a deeper level, Whitehead seems bring into question what true freedom even is. The Underground Railroad is novel of contradictions. It is rich in its bleakness. It is a novel that is difficult to read, but impossible to put down. Whitehead constructs his story in a version of history that serves as a metaphor for the treatment of African Americans. His focus on a single character allows him to merge the expansive history of injustice into a story that is more easily absorbed. As such, the action of Cora's escape works on two levels. One, as the story of a thrilling cat and mouse chase between slave and slave catcher, and two, as a larger portrait of systemic racism. The Underground Railroad is a masterful novel that is sure to spark passionate discussion and debate for years to come. I rarely provide a universal recommendation of a novel to readers of different tastes, but I will not hesitate to do so with this one. Read this book! Anyone who has read my reviews will know that I love a good mystery. I've always been addicted to the genre. I remember reading Encyclopedia Brown as a kid and have continued to devour mysteries ever since. All things considered, I can't believe it has taken me this long to read an Agatha Christie novel. 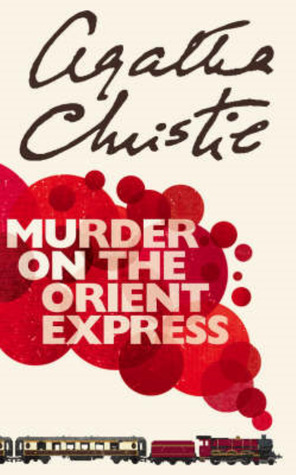 As an introduction to the author, I decided to start with her most famous book, Murder on the Orient Express. This is a classic, locked-room mystery. A train passenger has been killed, the train is snowed in, and one of the surviving passengers has to be the culprit. Fortunately, inspector Hercule Poirot is riding the train. He jumps into action and begins a methodical investigation of the mysterious murder. Poirot creates a list of questions to be answered. He believes that if the answers are revealed, he will be able to discover the identity of the killer. In a brisk couple hundred of pages, Agatha Christie presents a meticulously plotted mystery that will keep even veteran readers of the genre guessing. I was reminded of the novels by P.D. James as I read this one. Like James's works, this story relies on characters to drive the momentum of the plot. With the static setting of the stalled train, Christie uses her charismatic hero and his incremental revelations to bring depth to her novel. Over eighty years after being published, Murder on the Orient Express is still a thrilling read with a surprise ending that makes it one of the best that's ever been written.